The wines found in the Terrestoria portfolio are, first and foremost, unique discoveries made personally by the company’s founder. There are no strict rules dictating how or why one is moved by a particular wine, making the selection process for a boutique portfolio like Terrestoria’s an adventure full of new learning experiences and unpredictable encounters. Nevertheless, there are six fundamental criteria that guide choices made along the way. 1. We literally go out of our way to search out exciting, lesser-known wines made from native grapes. And while we may occasionally select blends reflecting the longstanding viticultural tradition of a certain region, Terrestoria focuses primarily on mono-varietals produced in their historic places of origin. 2. Terrestoria collaborates solely with small-scale winegrowers whose total certified annual production levels are well below 750 hl (the equivalent of approximately 100,00 bottles per year). 3. The world’s greatest wines, in our opinion, are those produced in total balance with nature. 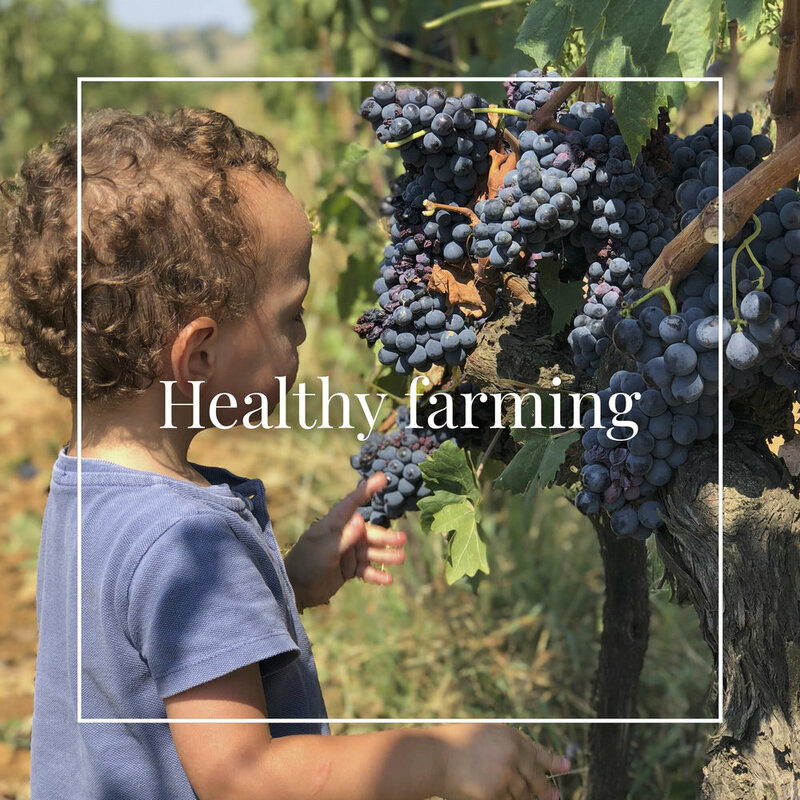 The Terrestoria portfolio therefore features estates which farm conscientiously, never losing sight of their direct impact on soil health, the environment and the well-being of people. 4. While working with wine regions with fascinating pasts, we love digging deep into history. As the Terrestoria portfolio gradually grows, this trend will develop further. Though headquartered in Salt Lake City, Terrestoria operates year-round from satellite offices in Milan, making close collaboration with European suppliers the cornerstone of our unique business model. 5. Every member of the wine industry has a valuable role to play, regardless of gender, yet we cannot deny the special sisterhood at work within our Utah-based wine imports startup. Terrestoria was founded by a woman, and women play leading roles at all of the wineries with which Terrestoria partners—as proprietors, partners, winemakers, marketing managers, sales directors and beyond. 6. Terrestoria imports exclusively for Utah, launching newly selected wines in its portfolio through the state’s unique DABC special order system. While traditional wine importers spend little time in this corner of the Mountain West, Terrestoria has made it its mission to cater exclusively to this rapidly evolving and highly receptive market. Terrestoria partners with winegrowers who take an active interest in contributing to the future of indie wine connoisseurship in the Beehive State.